Remember that writer who reportedly faked cancer and pretended to have an English accent? Well the Brits might just give him a prize. Because a white dude with a sad story can just have whatever he wants, Dan Mallory, who writes under the name A.J. Finn, has been nominated for a British Book Award in the Crime and Thriller Book of the Year category. 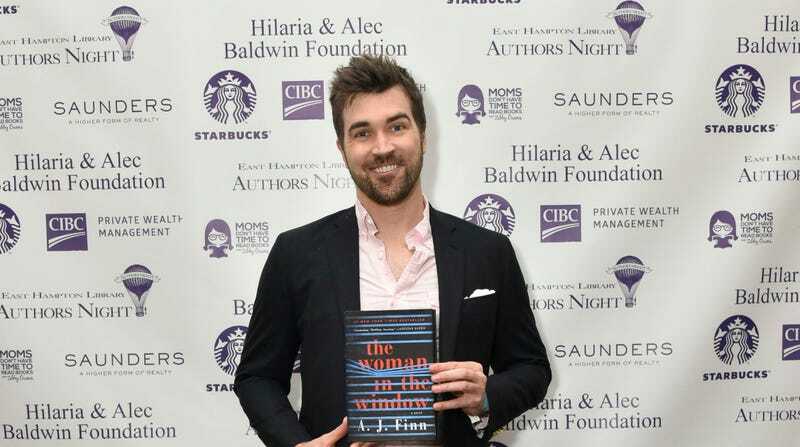 His book, The Woman in the Window is also a New York Times best seller and has already been made into a movie starring Amy Adams, Julianne Moore, and Gary Oldman. In February, The New Yorker published a piece exposing lies Mallory has allegedly been telling since college, including a fake brain tumor, dead relatives who are still very much alive, and a host of other tragedies. The story doesn’t seem to have affected Mallory’s career trajectory at all. His next book is set to be released in January 2020.